Camel crickets, or “cave crickets” as they are commonly known, are a type of pest insect that begin to move indoors during the winter months to get out of the cold. As their name suggests, in nature these crickets live in caves. For this reason, cave crickets seek out cool, damp environments. When they enter a house, they will usually be found in the basement, crawl spaces, garages, sheds, or lower levels. Many people find these crickets to be particularly creepy in their appearance, perhaps due to their erratic behavior and disturbing tendency to jump closer when threatened instead of scurrying away. 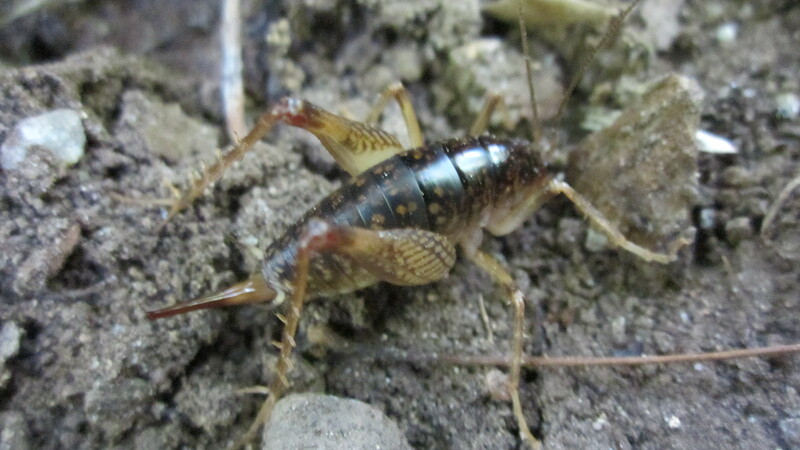 Cave crickets have a distinct appearance different from that of other crickets. They are wingless, have brown and black patterns, and are dark in color. They have a “hunched over” appearance with a slightly rounded body and long antennae. Although their bodies are usually no longer than an inch and a half in length, with their long limbs they can appear as long as 4 inches. That’s roughly the length of a computer mouse. Since they are naturally adapted to live in harsh environments, cave crickets can go for long periods of time without eating, and are can eat things that are normally considered inedible. When no other food is available they have been known to eat fabric, paper, or even their own legs. It is rare for crickets to reproduce inside of a house, although their natural resilience means that once they gain entrance they can linger for a long time. Cave crickets rarely breed inside a home, which means that a good prevention strategy is to exclude them from the house though methods similar to those described in this article about stink bug prevention. This means sealing up any cracks that could allow the crickets to enter a house, maintaining a buffer zone around the house that is free of debris or thick mulch, installing screens around basement windows, etc. Cave crickets thrive off of moisture. One solution is to eliminate moisture from crawl spaces, garages, basements, or other affected areas whenever possible. 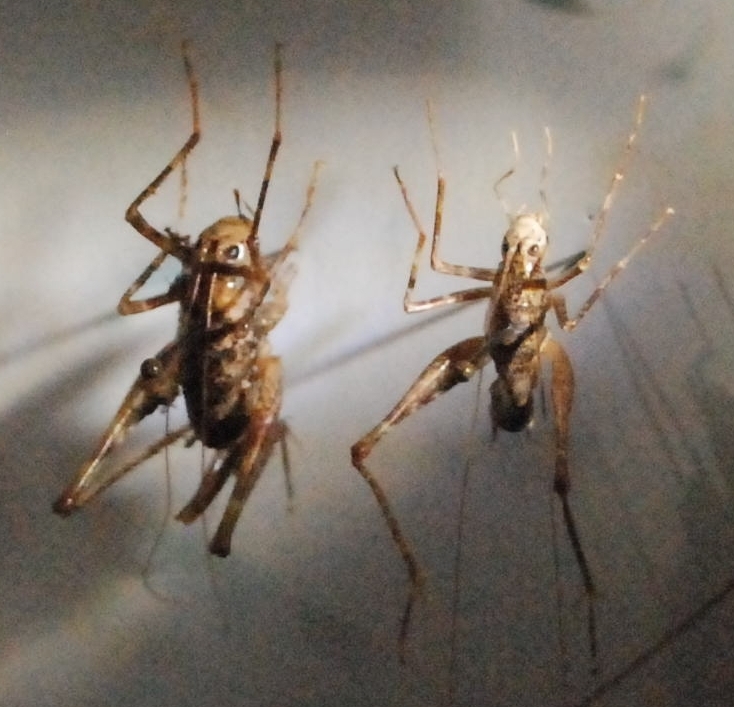 Unlike stink bugs, cave crickets respond well to conventional extermination methods. Treating the outside foundation and/or setting glue board traps in the right places is a guaranteed method of getting rid of the crickets for good. 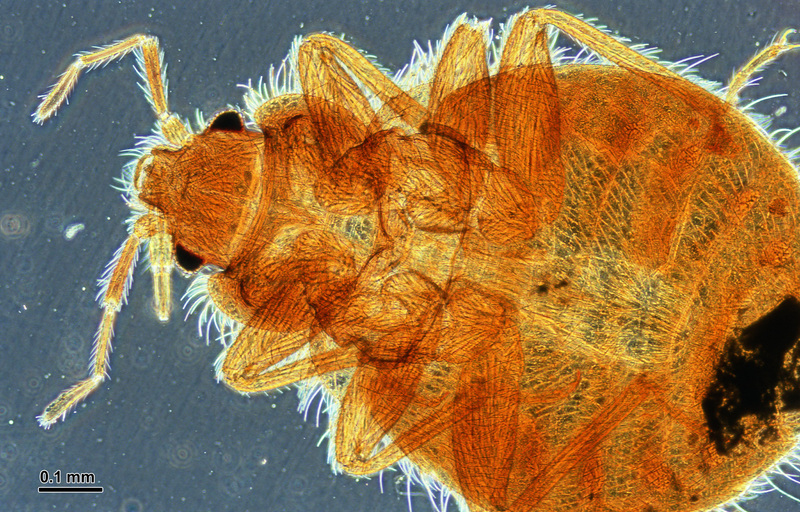 This entry was posted in Uncategorized and tagged Arrow Exterminating, Basement, bugs, cave crickets, crickets, DIY, extermination, exterminator, insects, Pentatomidae, Pest control, pests, Rhaphidophoridae on December 6, 2013 by ArrowBugBlog.